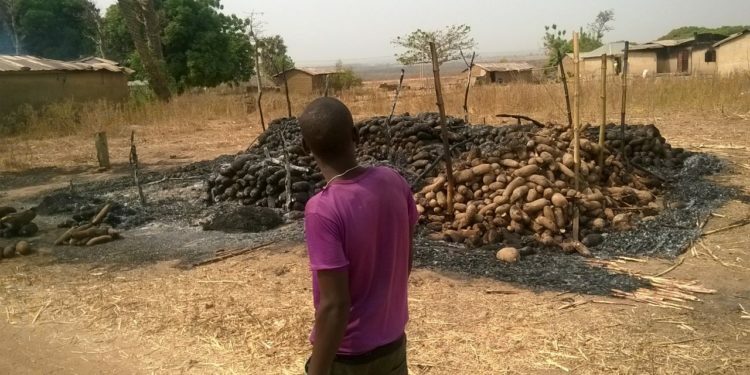 In Sabondaga, a small village of predominantly farmers in Niger State, many of the locals are still counting their losses following the invasion of Fulani Herdsmen. The attacks have continued even as concerns remain unabated over the possibility of unprecedented hunger and famine in Nigeria as a result of drought, conflicts and economic instability. Sabondaga community of about 20,000 people has been turned into a ghost town – the villagers have all fled for their lives – hunted by the fear of getting killed should they return. The attacks by migrant herdsmen on indigenous farmers has gone on unabated for decades but has heightened within the last two years, with the nomads wrecking havoc from Enugu state to Southern Kaduna region and Agatu community in Benue State. At some point again in the course of this inspection, he paused, stopped talking, sat on the debris and screamed; his voice reverberated across the empty walls and into the empty village, a testimony to the absence of his fellow villagers who had all fled following the invasion. A recent study by a United States-based group, the Famine Early Warning Systems Network has revealed that already people in 45 countries were unable to feed themselves largely because of different forms of disasters and economic crises. The study by FEWS NET shows that, “the combined magnitude, severity and geographic scope of anticipated emergency food assistance needs during 2017 are unprecedented in recent decades and about 70 million people were in need of food aid”. 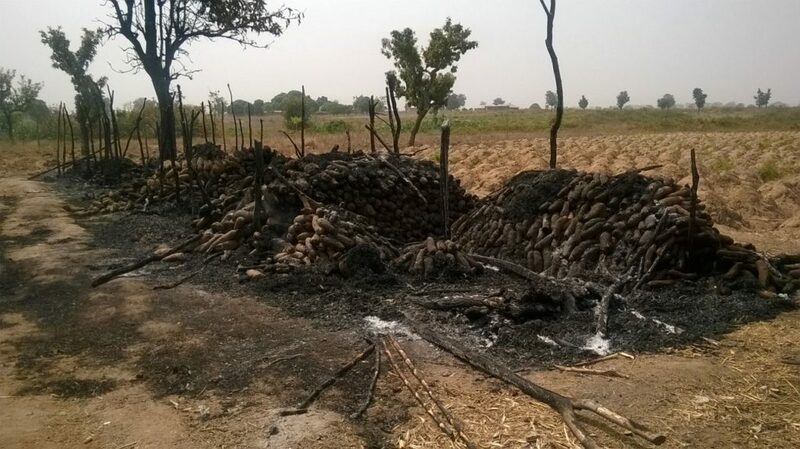 For Nigeria, however, with a seven-year insurgency by the Boko Haram group in the North-East leading to famine in the area in 2016, and an ongoing Economic recession that appears to coexist with inflation, where cost of items have continued to go up – Mamman Dawu, another middle aged farmer says “with the magnitude of grains, crops, yams burnt during the attack – we will not have food items to take to the market”. But the crops have not been the only losses. 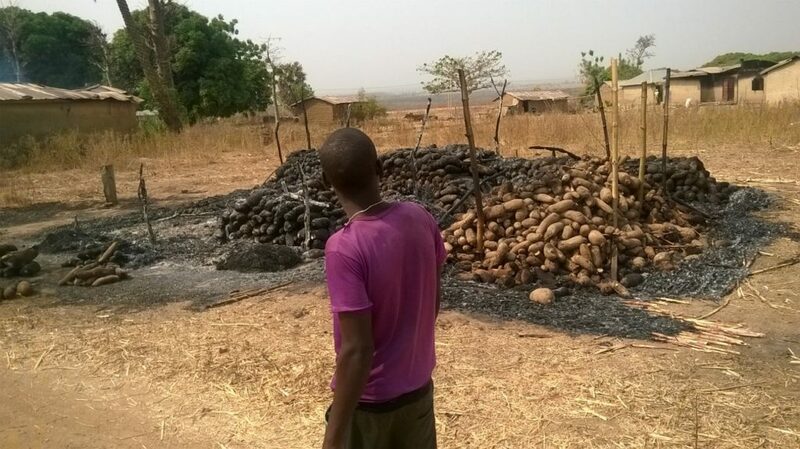 62-year old Alhaji Isa Dogo said it wasn’t only the crops that was destroyed, “On the 17th of January 2017, when the herdsmen invaded us in Barkuta Nuwakobi village along Garuta road – they stole 300 of our cows, killed our brother, Ibrahim Saidu who confronted them – he was slaughtered”. 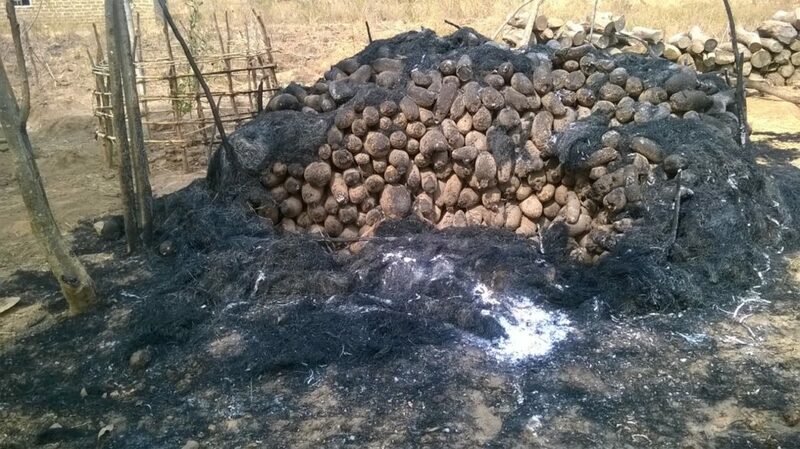 “In jubilation, they attacked our community, burning all our people labour for, armed with cutlass and AK47 riffles – destroying all they could set their eyes on” Alhaji Dogo claims Policemen, civil defence officials as villagers were all slaughtered in the process. In November 2015, Global Terrorism Index named Nigeria’s Fulani militant as fourth deadliest terror group in the world. The report revealed that the “little-known group, formed of individuals from the semi-nomadic pastoral ethnic group Fula people existing across several West African nations, has seen a dramatic escalation of its activities in the past year”. 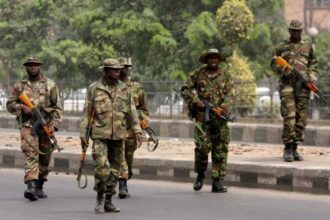 A 35- year old Fulani who spoke in his native Fufulde language told this reporter through a local interpreter that the invasion of the community was to retaliate the killing of a Fulani by the community. The man who stays at the IDP Camp provided for only the Fulanis by General Abdulsalami Abubakar (a farm land settlement) insisted that villagers often attack his people too and the stories go unreported but no Fulani man will forgive the killing of another Fulani”. 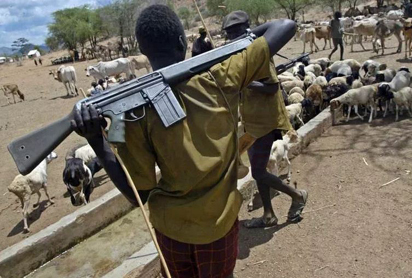 Only recently, a lawmaker from Niger East Senatorial district, Senator David Umaru, claimed that cattle rustlers and armed bandits murdered over 400 people across various communities in the zone in 2016. Senator Umaru, told reporters in Minna that several livestock including cows were rustled, while women and girls were abducted and raped by the marauders who also burnt houses and other property. He listed some of the communities to include Kaure, Kusasun, Mwaignu, Sabon Gida, Kwaki, Ajata, Kushaka, Bagna, Bassa/Kukoki, Allawa in Shiroro and Rafi local government areas. Dangwari who lost all he had is seeking refuge in Suleja (a community kilometres away from Abuja, the capital city) with his paternal uncle – he hopes to get a capital to start life in the city and never go back to his village.